Analysis: Santos played in nine games between the Buccaneers and Rams in 2018, converting 14 of 18 field goals and five of six extra points. He could have light competition during the offseason and training camp from Danish kicker Phillip Andersen, who last played in the German Football League. Nevertheless, the job belongs to Santos unless he loses it. Santos was successful on field-goal attempts of 36 and 45 yards and also drilled both of his extra-point tries in Sunday's 34-32 loss to the Falcons. Santos made field-goal attempts of 37 and 45 yards while misfiring on a 52-yard try in the Buccaneers 27-20 loss to the Cowboys on Sunday. He also drilled both of his extra-point attempts. Analysis: The 27-year-old's one miss was relatively excusable considering the distance, and Santos had a solid eight-point afternoon overall by making his other four kicks. The five-year veteran is 7-for-10 on field goals and has drilled all 15 of his extra points since joining the Bucs in Week 11. He'll be a serviceable fantasy option once again in the Week 17 finale against the Falcons and likely has done enough to be considered as a leading candidate for the placekicking role in 2019. Santos made field-goal attempts of 21 and 28 yards and did not have any extra-point tries in the Buccaneers' 20-12 loss to the Ravens on Sunday. Analysis: Santos had likely prompted at least some concern after missing two field goals in Week 14, but he alleviated those worries to an extent by drilling two makeable tries Sunday. He was shut out of the extra-point category, however, as the Bucs opted to go for two after their lone touchdown of the day. The weather conditions and defensive matchup should both be at least slightly more favorable in a Week 16 matchup versus the Cowboys, which should afford Santos an uptick in scoring opportunities. 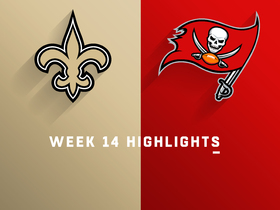 Santos missed field-goal attempts of 46 and 40 yards while hitting both of his extra-point tries in the Buccaneers' 28-14 loss to the Saints on Sunday. Santos drilled his sole field-goal attempt from 35 yards and also connected on all three extra-point tries in the Buccaneers' 24-17 win over the Panthers on Sunday. 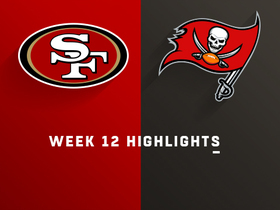 Santos nailed field-goal attempts of 41 and 39 yards as well as both of his extra-point tries in the Buccaneers' 27-9 win over the 49ers on Sunday. Analysis: So far so good for Santos in a Tampa uniform, as he made good on his pair of field-goal tries with the Bucs while also remaining perfect on extra points. If the veteran can maintain a similar caliber of performance moving forward, he'll be one of the better fantasy options at his position down the season's stretch run. Santos did not attempt any field goals and was perfect on all five extra-point attempts in the Buccaneers' 38-35 loss to the Giants on Sunday. Analysis: Santos maximized his opportunities, drilling every extra-point try he was afforded. 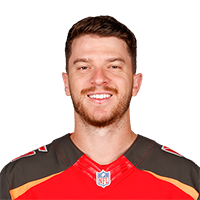 The veteran kicker has the talent to stabilize the team's placekicking position, considering he brought a respectable 84.1 percent career success rate into Tampa. He'll look to log his first field-goal opportunities in a Week 12 matchup versus the 49ers. The Buccaneers signed Santos to a contract Monday, Ian Rapoport of NFL Network reports. The Rams released Santos on Tuesday, Myles Simmons of the team's official site reports. Analysis: On Monday, coach Sean McVay said "there's a chance" Greg Zuerlein (groin) would be able to return from a four-game absence Sunday in San Francisco, according to Simmons. With the release of Santos, who served as the Rams' kicker the past two games, Zuerlein clearly is good to go. Considering Santos knocked through five of six field goals as well as five of six extra points, he likely is on the speed dials of a number of teams around the NFL. Santos converted three of four field-goal attempts and made both extra-point tries in Sunday's win over the Broncos. Analysis: Santos fared well in his second game of the season, although he wasn't able to convert a 47-yard attempt early in the fourth quarter, his first miss of the season. Sean McVay already mentioned there is a chance Greg Zuerlein (groin) is able to return this week, according to Myles Simmons of the Rams' official site. Santos has done a nice job filling in for Zuerlein and could potentially find himself on another roster should his time with the Rams come to an end in the near future. Santos is likely to handle kicking duties for the Rams on Sunday against the Broncos after coach Sean McVay said Wednesday that Greg Zuerlein (groin) is, "probably another week away" from returning, Myles Simmons of the Rams' official site reports. 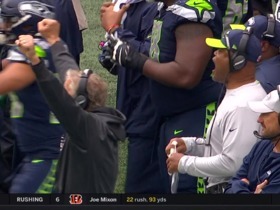 Analysis: Santos converted two field goals and all three extra points in Sunday's win over the Seahawks in his first game with the Rams. The altitude at Denver provides an added bonus for Santos, who remains an appealing fantasy option as the fill-in kicker for the best offense in the NFL. Santos hit two field goals and converted his three extra-point attempts during Sunday's 33-31 win over Seattle. Analysis: While Santos' fantasy value and tenure kicking for the Rams may be fleeting, he's definitely worth a look in most settings while Greg Zuerlein (groin) is on the shelf. After Sunday's solid showing, Santos has connected on 92 of 109 field goals (84.4 percent) dating back to his rookie season in 2014. Santos will handle the Rams' kicking duties Sunday against the Seahawks after coach Sean McVay announced Wednesday that Greg Zuerlein (groin) wasn't ready to return to game action, Myles Simmons of the team's official site reports. Santos signed with the Rams on Tuesday. Analysis: Santos is seen as an upgrade over Sam Ficken, who was waived earlier Tuesday. Santos made a name for himself in the league during his time with the Chiefs from 2014-17, when he made 84.8 percent of his kicks. He is expected to be a temporary kicker for the Rams while All-Pro Greg Zuerlein is sidelined with a groin injury. The Jets will release Santos (groin) on Wednesday now that he's fully healthy, Adam Schefter of ESPN reports. Analysis: Santos couldn't stay healthy enough during the evaluation period to make his case for a 53-man spot, so his run with the Jets will come to a close. He will be free to latch on with another team. Santos (groin) appears to have fallen out of the Jets' kicker competition, Manish Mehta of the New York Daily News reports. Analysis: With Santos hindered by yet another groin injury, the Jets claimed Jason Myers off waivers to compete with Taylor Bertolet. It's probably only a matter of time until the team releases Santos with an injury settlement. Santos (groin) is not expected to play in Thursday's preseason game against the Redskins, Rich Cimini of ESPN.com reports. Analysis: Santos scaled back his participation in practice this week after an ongoing groin issue resurfaced, so it's not surprising to see him being held out of Thursday's outing. Santos remains the favorite to be the Jets' starting kicker, but rookie Taylor Bertolet will take over placekicking duties in his absence. Santos has dialed back his kicking during camp due to a groin issue that has resurfaced from years' past, Rich Cimini of ESPN reports. Analysis: Santos hopes to return to the field soon, but no timeline has been placed on that at this point. When healthy, he's likely the favorite to win the Jets' kicking duties, but rookie Taylor Bertolet will attempt to make a name for himself during camp to enter the mix. Santos faces competition for the Jets' kicking job after the team claimed Nick Rose off waivers from the Chargers on Monday, NJ.com reports. Santos (groin) signed with the Jets on Thursday, Randy Lange of the Jets' official site reports. Analysis: Santos spent time with the Chiefs and Bears last season, converting four of five field-goal attempts and went 14-of-14 extra-point attempts while also dealing with a lingering groin injury. Santos (groin) required surgery to repair the groin injury that landed him on injured reserve, Brad Biggs of the Chicago Tribune reports. Analysis: Santos was only signed to a one-year contract with Chicago, so he's set to become an unrestricted free agent at the start of the new league year. However, it isn't certain how his recovery from groin surgery will impact the timeline of his free-agent process. Santos (groin) was placed on injured reserve Monday. Analysis: Santos was released by the Chiefs earlier this season due to his groin problem, which flared up again in Sunday's defeat to the 49ers. Now done for the season, the Bears have signed veteran Mike Nugent to replace the Brazilian. Bears head coach John Fox said the team may need to find a replacement for Santos, who injured his groin during Sunday's 15-14 loss to the 49ers, Adam Hoge of WGN Radio 720 AM Chicago reports. Analysis: With the Bears unable to venture into scoring range after the first quarter, Santos' injury didn't have much impact on Sunday's game. He dealt with a groin injury earlier this season, prompting the Chiefs to place him on injured reserve and eventually release him. The Bears could turn back to Connor Barth, who was released to make room for Santos a few weeks ago. Santos sustained a groin injury in Sunday's loss to the 49ers, Jeff Dickerson of ESPN.com reports. Analysis: Head coach John Fox indicated post-game that Santos "tweaked his groin", but the injury was never officially announced during the game even though punter Pat O'Donnell began practicing field goals at halftime. The severity of the injury is unclear at this point, so it is unknown if the Bears will need to bring in another kicker. Santos made one of his two field-goal attempts and did not take an extra point in Sunday's 31-3 loss to the Eagles. Analysis: Santos started his Bears career by missing a 54-yarder, but later rallied to convert a 38-yard attempt. Although Chicago's offense probably won't afford him as many scoring opportunities as Kansas City's used to, Sunday's matchup against the 49ers at least appears promising. The Bears signed Santos (groin) to a contract Monday, Brad Biggs of the Chicago Tribune reports. Santos (groin) met with the Bears on Thursday, but it doesn't appear the team will offer him a contract, Brad Biggs of the Chicago Tribune reports. 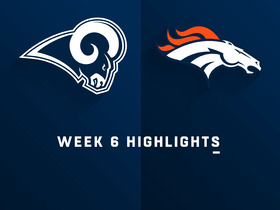 Watch the highlights of the Los Angeles Rams facing off against the Denver Broncos in Week 6 of the 2018 NFL season. 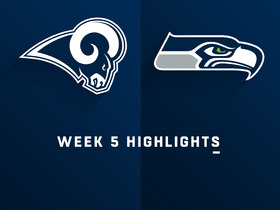 Watch the best plays from the Week 5 matchup between the Los Angeles Rams and Seattle Seahawks. Los Angeles Rams kicker Cario Santos makes 39-yard field goal attempt. 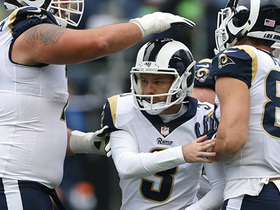 Los Angeles Rams kicker Cairo Santos misses the extra point attempt to tie the game. 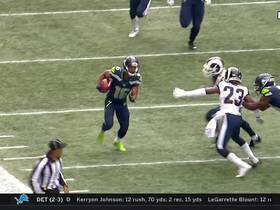 Seattle Seahawks wide receiver Tyler Lockett goes 42 yards on kick return. 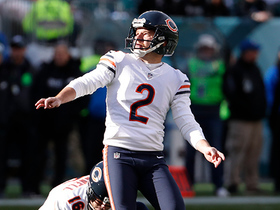 Chicago Bears kicker Cairo Santos misses a 54-yard field goal. 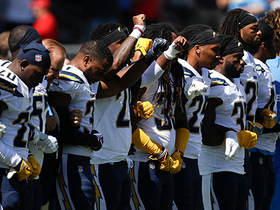 Players from both the Kansas City Chiefs and Los Angeles Chargers show a moment of unity during the National Anthem prior to their Week 3 matchup. 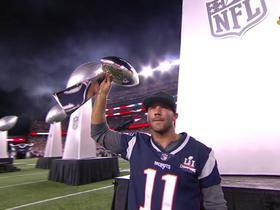 Watch the New England Patriots celebrate their five Super Bowl trophies before the Week 1 match up against the Kansas City Chiefs.